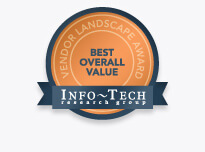 Flexiant is the best and most innovative provider of cloud management and orchestration software. A complete IaaS software platform that allows telcos, hosters and service providers the ability to build, sell and monetize differentiated cloud services, at scale in days. Our platform is focused on accelerating your journey from innovative ideas to profitable services. Flexiant offers innovative solutions to increase revenues and profits by arming cloud service providers, hosters and telcos with the capability to turn ideas into profitable services quickly and easily. Scale, deploy and configure servers, simply and cost-effectively. Watch Kathryn Miller talk about why Computerlinks chose Flexiant Cloud Orchestrator to deploy cloud services to thousands of resellers across the globe. ALVEA Services, launched by COMPUTERLINKS, has chosen Flexiant Cloud Orchestrator for its Infrastructure as a Service (IaaS) solution, ALVEA Infrastructure. Flexiant will provide the cloud orchestration solution necessary to rapidly deploy ALVEA Infrastructure to its 2,500 resellers across 25 countries globally. Hear Richard Warner explain why Interxion partnered with Flexiant to deliver a highly customizable solution for the European market. Interxion is a leading European provider of carrier-neutral colocation data centre services. They chose Flexiant Cloud Orchestrator as a partner to power its UK Cloud TestLab, a turnkey cloud hosting test environment enabling service providers and system integrators to test and develop cloud services at high speed and with best-in-class performance guarantees. Find out how Flexiant Cloud Orchestrator enabled Emnet to provide control and flexibility to their customers with a rapid go-to-market strategy - the process from selection to full operation took just three weeks. Global service provider Emnet chose Flexiant Cloud Orchestrator to meet customer demand for cloud management. Key markets for Emnet include the reinsurance, gaming and financial services industries. These industries require on-demand and scalable resources with easy provisioning of cloud services to meet business requirements. 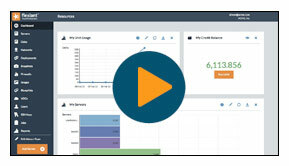 With Flexiant Cloud Orchestrator, Emnet now gives customers’ control and flexibility over cloud computing usage and costs while delivering on unique vertical requirements. Watch this video to hear Maja Lokkegaard, Cloud.dk, discuss how Flexiant Cloud Orchestrator was chosen for Denmark's first public cloud service. Cloud.dk provides the Danish market with a Danish hosted, KVM-based Infrastructure as a Service (IaaS) platform, competing with the international offerings from Amazon and Rackspace. Maja explains how Flexiant Cloud Orchestrator has allowed the Company to provide a highly flexible platform at a cost effective price.